If you are trying to decide if bankruptcy is the best option for regaining control of your finances, you quite likely have many questions about the process. With over 20 years of experience handling bankruptcy matters in New Hampshire, Attorney Kelley understands the concerns and questions that clients typically struggle with as they decide whether to file bankruptcy. Attorney Kelley will explain all of your options and answer all of your questions about the bankruptcy process during your initial consultation. Attorney Kelley is dedicated to helping you every step of the way. Knowing how the process will unfold can help alleviate the worries and anxiety about what will happen next. As your trusted NH bankruptcy attorney, Attorney Kelley will analyze the details of your situation and help you to formulate a plan for resolving your situation. 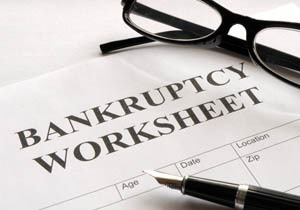 Once we establish which type of bankruptcy will best meet your needs, we will help you prepare the necessary documents. We will assist you with preparing a detailed listing of your income and expenses. In addition, you will compile an itemized list of your living expenses, secured and unsecured debts, assets, tax returns for the past two years, and any loan documents. One very important step in the process is stopping creditor action. Once the bankruptcy case is commenced, creditors are required to stop calling you, mailing letters, or harassing you in any other way. Actions such as foreclosure or lawsuits will be stopped. For many, this part of the process brings the most psychological relief as they prepare to get their financial life back in order. A trustee will be appointed to your case to oversee your bankruptcy filing and to insure compliance with the Bankruptcy Code. Approximately one month after your case is filed, you and Attorney Kelley will attend a meeting of creditors in Manchester, during which the trustee has the opportunity to ask questions. This meeting typically does not last more than five to ten minutes. While the process may be intimidating to think about, it doesn’t have to be as devastating as you may think. Attorney Kelley will provide you with a bankruptcy checklist and work side by side with you to ensure you understand every step of the process. We can answer your questions, clear up any confusion, and help you look past the stigma of having to file for bankruptcy. By keeping you informed and in control of how your bankruptcy unfolds, you will feel confident moving forward toward a brighter financial future. Everyone deserves a second chance after falling on hard times. We can help you get started on that second chance as soon as possible.